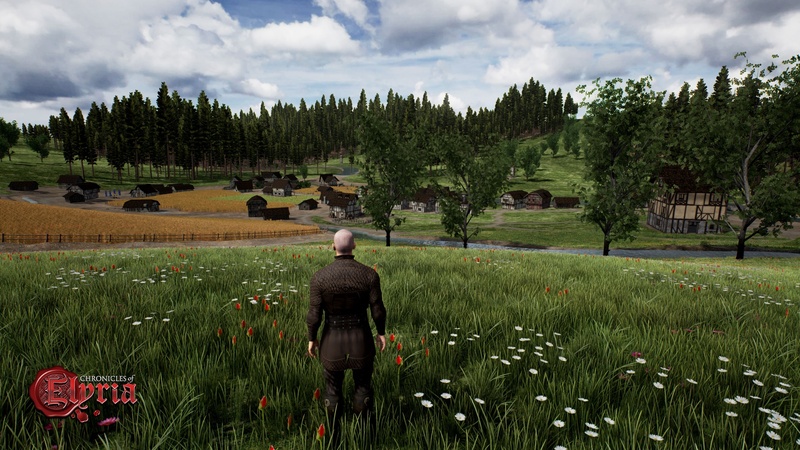 Following the launch of Chronicles of Elyria’s Kickstarter campaign, Cliqist is set to cover some of the innovative features showcased in the hugely hyped MMORPG. There are tons of things to ooh, ah, and ogle at in developer Soulbound Studios’ highly ambitious project, and we’ll get to many of them in due time. 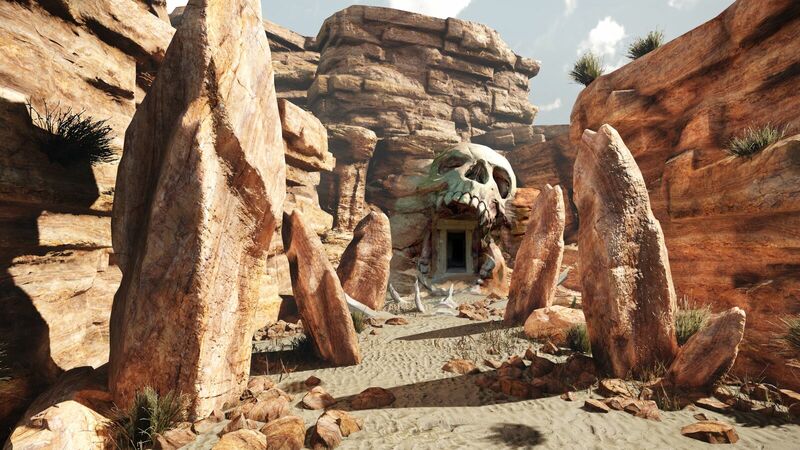 But for today, I’ll be closely scrutinizing what are arguably the two most important features of Chronicles of Elyria—the mechanics of ageing and dying. I’ll also be discussing how these, as well as the implementation of body dynamics, affect your playthroughs. In Chronicles of Elyria, life, gaming and death go hand in hand in hand. The lifespan of each of your characters will last approximately 10-14 real-life months, during which you make choices that leave an imprint on the world you inhabit. Over the course of ten in-game years, your character will live and die multiple times, with each in-game death reducing your overall lifespan by roughly two days. This eventually results in permanent death; which is grim but inevitable in Chronicles of Elyira. Some characters with a greater societal footprint will have a more “impactful” death (Soulbound Studios has cited a “king”, for example), leading to eternal eradication in less lifespans than, say, a mere peasant. Body dynamics are often touched upon briefly in RPGs; you may get a chance to broaden those shoulders or bring out those curves, but the fun usually ends there. Chronicles of Elyria is planning all of that and then some; your bicep pop and bust size are also influenced by how you “play your character.” Meaning, different walks of life mean palpably different body structures, from bakers and librarians to kings and queens. Yes, Soulbound Studios did indeed imply that you can play as a baker, if you so choose. Though why someone would choose this is well beyond me. This mechanic on its own has a chance to make Chronicles of Elyria rise above the tide of washed-out MMORPGs. Soulbound Studios seems to be taking a very minimalistic and organic approach with their game; no mini-map, survival aspects, fully destructible environments, player skill valued over leveling. It will be mighty interesting, when the time comes, to see if players will be willing to take risks and try various “career paths”, and to observe how they all mesh with one another. Will strangers be tempted to slaughter one another on sight? Or will they merge to form tentative alliances? The community of Chronicles of Elyria will make or break the game. 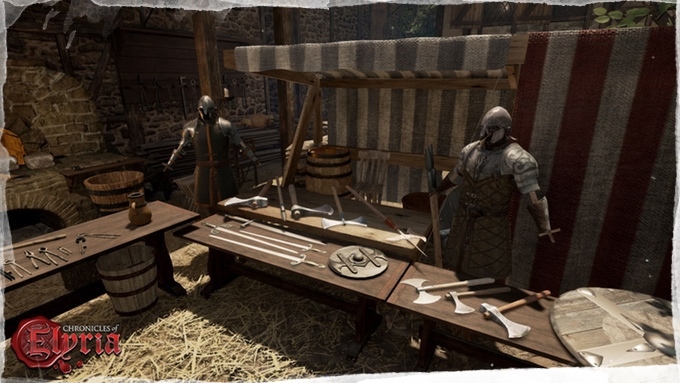 The community of Chronicles of Elyria will make or break the game. As we’ve seen so often in the past with MMOs, for example survival game Rust, they’ve all got these amazing premises and mechanics but complaints about the game saturate the public channels. And with good reason; newbies spend hours on end grinding for the best gear and shelter, and when they emerge into the community, all that is ripped from their hands by groups of people who want nothing more than to loot and plunder. It all ends up being good fun for pirates, but it’s like internet trolling; excruciatingly polarizing and usually only pleasurable for one party. One thing I’ve been pining for, for a long, long time is the enforcement of mics when it comes to MMORPGs, or MMOs period. In my MMORPG utopia, when you come into the vicinity of a stranger, their channel pops up onto yours and you get the chance to say a few words to one another. It could keep players from drawing swords or clubs the moment they lay eyes on a stranger. Too often, and I can definitely see this occurring in Chronicles of Elyria, one player is willing to form an alliance while the other stabs him in the back. It’s fair enough for this to happen once in a while, but the enforcement of microphones in-game might vary the options for the better. 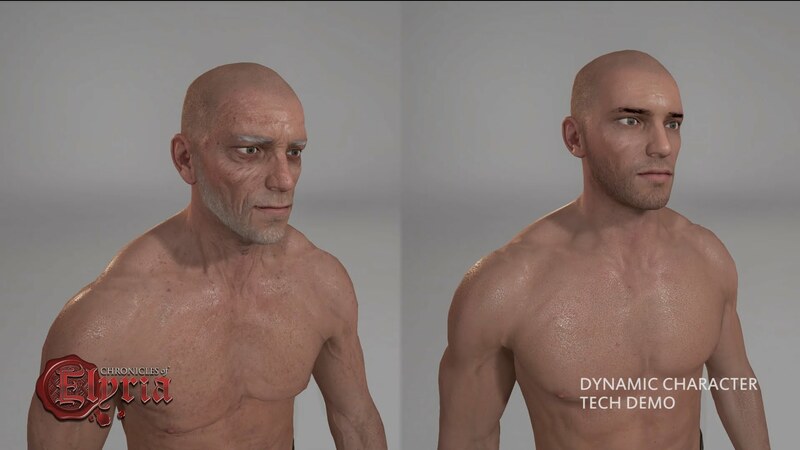 In the brief body dynamics clip posted on the Tube, we get a glimpse of the cosmetic change of a bald, semi-nekkid man transitioning from a youthful 25 to a wise ol’ 75 years old. The gradual increase of wrinkles and graying chin moss are a given, but we also witness the head drop forward and the shoulders sag ever so slightly as the man ages. And the system isn’t only for show. As your character whittles away ever so gracefully, physical attributes (strength, speed, stamina etc.) follow suit, however, mental and certain social skills become “easier to develop.” The clip also shows the emergence of a roundly paunch (the man gets fat) over time, should you forget to engage in the cardiovascular and strength-enhancing exercise of killing other players with your broadsword. Or as one potential “Elyrian” inquired on the Soulbound Studios forums, “Can we get fat if we eat too much? That would be sick!” Sick indeed. No pun intended.